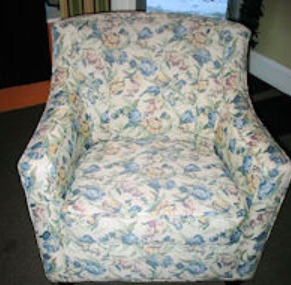 Upholstery services since 1978 from bike seats to sofas and a storefront shop since 2008. 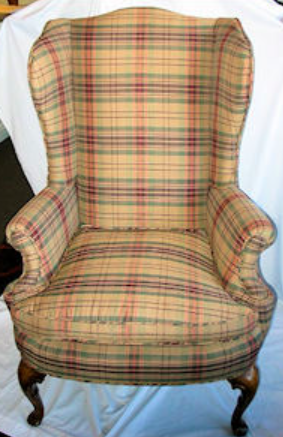 Turning your ‘Great Aunt Martha’s’ chair or sofa into a beautiful piece you’ll be proud to sit in. Upholstery is my game BUT I also make and redo "Tuffets and benches and chairs, oh my!" Tuffets (small footstools) are made from "green" products - repurposed from cabinet shelving for the base, stair rails cut to various lengths for legs, and fabric remnants and trims from past projects. There are several sizes - usually 5 inches to 9 inches in height - available at my shop, or they are made to order using the fabric and/or trim of your choice. Tuffets are not just an accessory item - they are therapeutic too - easing your lower back by having your feet 5-9 inches off the floor. Come try one and see their function, fun and fantasy.